Our relaxed, family-friendly tasting room has been recently transformed and extended into an outdoor space, with wooden decking lined with comfy cushioned seating, beanbags for the lawn, and landscaped areas where you can relax and eat while taking advantage of the views of the vineyards and rolling hills. 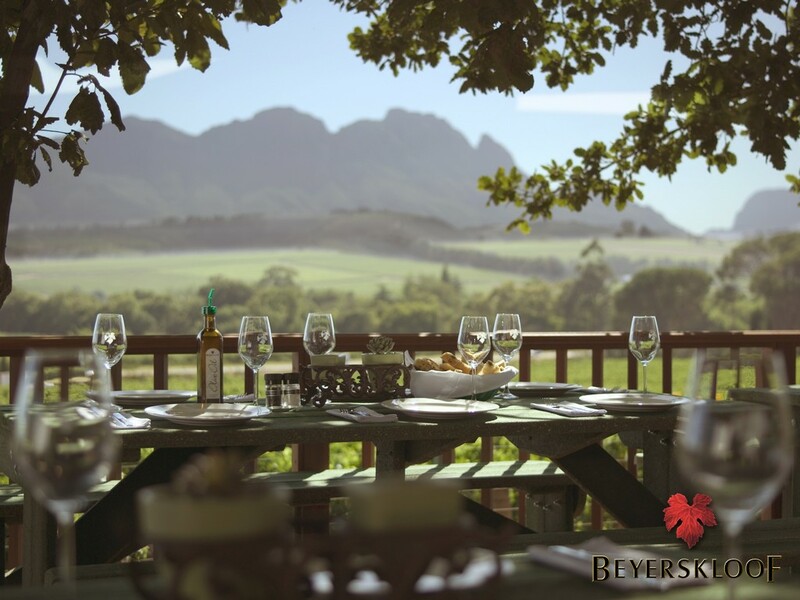 We offer comprehensive tastings through the full range of Mulderbosch wines, as well as the exclusive opportunity to taste Terroir’s Fable Mountain Vineyards and Yardstick Wines. There’s comfortable seating on chairs and couches, and a big fireplace with roaring fires in winter. To compliment our wines, we serve a selection of thin-based wood-fired pizzas, with a variety of delicious fresh toppings, from our outdoor pizza oven (available from 12h00 to 16h00). We also offer charcuterie and cheese boards with fresh bread and Mulderbosch olive oil. We regret no bookings for parties larger than 12 people. However, special events & celebrations may be accommodated by prior arrangement with management.